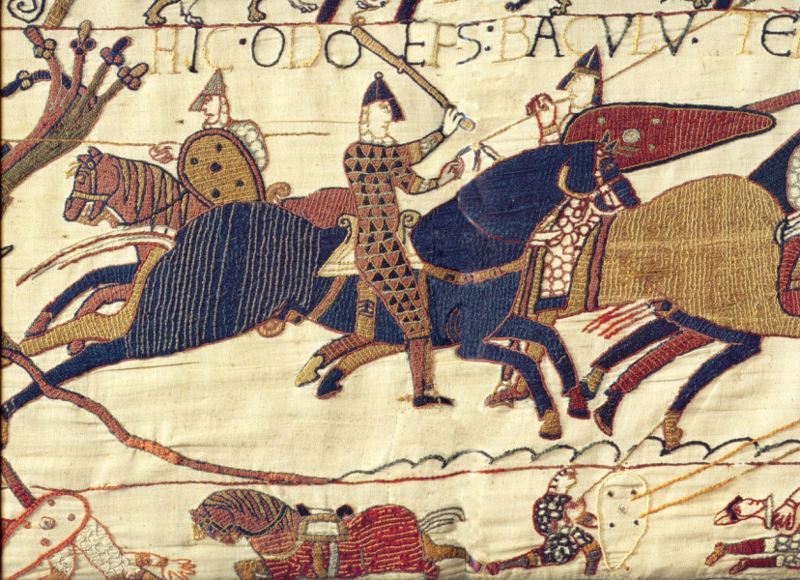 Unique artifact of its kind, the Bayeux Tapestry is an embroidery of wool yarn on woven linen, made in the 11th Century. It is 70 metres long and 50 centimetres high, and recounts the tale of the conquest of England on 14th October 1066, led by William the Conqueror, the Duke of Normandy. Remarkably well preserved, the Bayeux Tapestry features on UNESCO’s “Memory of the World” Register, thus ensuring its conservation and its registration as an artifact of universal value. Saved many times from destruction through the course of history, the ‘ Cloth of the Conquest ‘ (its other name) continues to reveal its secrets today. 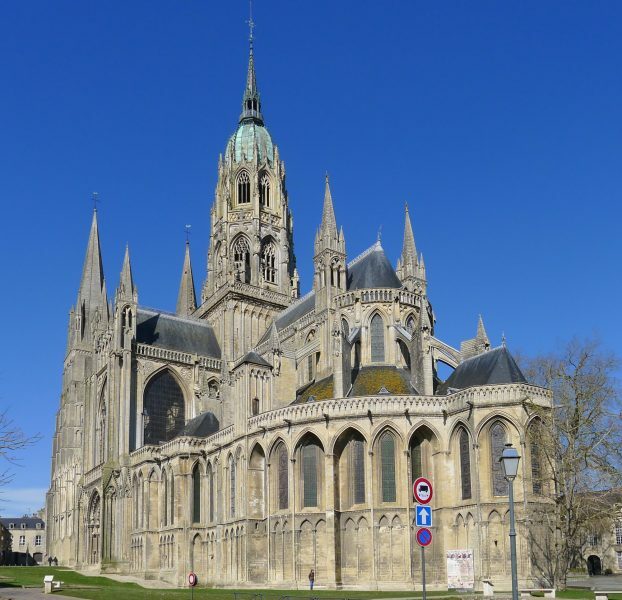 The huge cathedral, masterpiece of Romanesque and Gothic art styles is a must see. 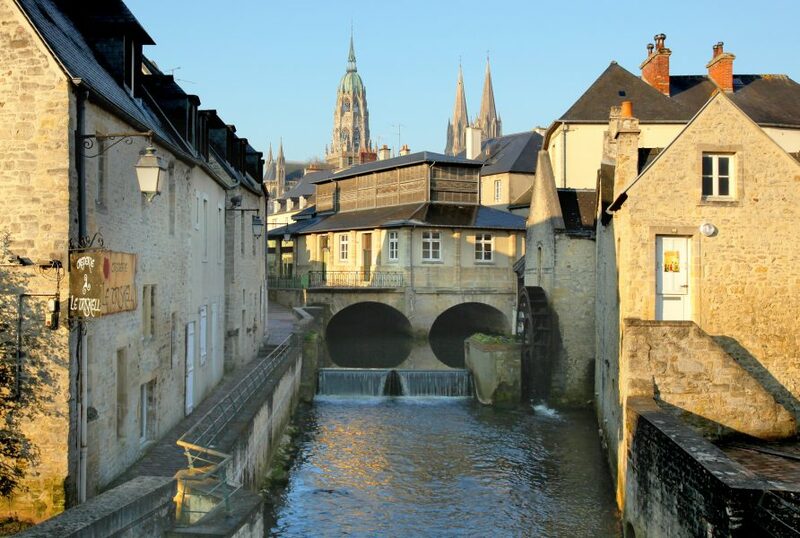 The Cathedral Rendez-vous also offer a spectacular monumental images projection around the massive cathedral of Bayeux and the place of the liberty tree, 3 evenings per week in July and August. Free. Overlooking the water as well as the Patisserie La Reine Mathilde on the main shopping street.